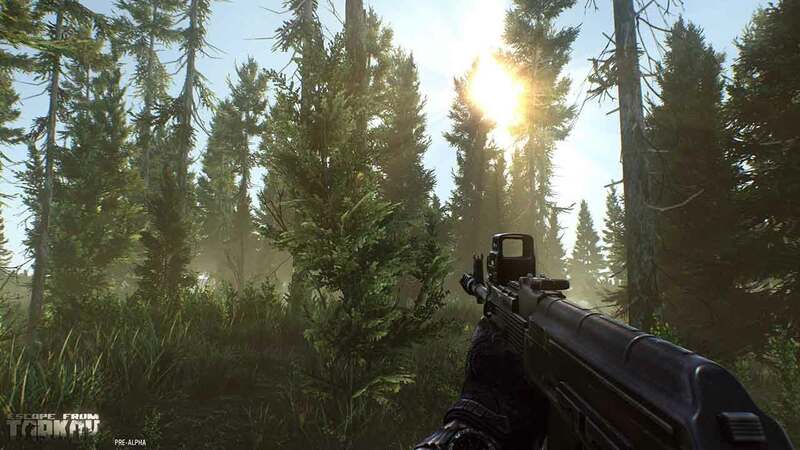 Battlestate Games are today inviting the first wave of testers to Escape from Tarkov as the Russian-based development studio has announced the launch of the first phase of Alpha testing for the highly anticipated online shooter. The team at Battlestate Games have already invited the first wave of players to the Alpha, chosen from those that previously pre-ordered the game on the official website. Further invitations will be sent to eligible players in waves over the next few weeks. New invitations will be sent in one or two day intervals, offering first places to those that pre-ordered the game. Those lucky enough to gain access will be excited to hear that the familiar Factory and Customs raids are in the game, shown in previous videos, and over 15 types of weapons will be available alongside an array of equipment and supplies. The developers have reminded players that this first wave of Alpha testing is designed as a technical test as they request feedback on basic mechanics, potential bugs, and comments on the available locations and environment.